My wife and I decided last summer that we would be moving into this famed neighborhood of our town. The house was worth the rent it charged- the surroundings seemed to be quite a friendly one. Our 7-yr old son Jon was not so excited, though. Leaving his old pals from the place where we currently lived was not going well with him. Just to see him cheer up a bit, we promised him that we will be getting him a pet Pug in his next birthday. His birthday came three weeks after we moved in. Our son was dyslexic; but he was good with sketching. We found a school for him in this new locality. He was happy to get enrolled. Playing with charcoal was something he enjoyed, and he progressed well in the classes. We got him the Pug on his 8th birthday. He was not excited, as he somehow disliked the drooling bit of the dog. The Pug , on the other hand , tried to befriend him, but Jon would seem to push him away most of the time. Once , my wife Samantha suggested that he sketched a portrait of the puppy but Jon had replied 'He will drool so much, might as well wash my sketch away...' and refused to sketch. It is said that no matter how much adults try to pamper their pet , it will always prefer to get the same treatment from the youngest member of the household. This wasn't happening in our case. We tried to coax Jon to give the Pug a name, without any success. Jon would go to his art school on his bicycle . The school was 5 blocks away from our house. The alley he used to take would be full of street dogs and if he got a little late when returning , the dogs would bark at him and chase him till he cycled to our locality. He was afraid of the dogs, and soon we realized that most of the disliking he had for our Pug was primarily because of this. 'I hate dogs! They are scary!' he would say. Me and my wife would suggest accompanying him to the school and back, to which he would respond saying that other kids would laugh at him. Kids grow up faster these days! Whenever Jon went out of the house, the Pug would follow him for a few 100 meters before turning back. It would always wait for him to return at the gates until he came back. Jon didn't make new friends much, as most of the children in the locality were elder to him. He would devote his time in his sketching and soon, his hard-work started showing up. He was improving with every passing day. Our Pug would try getting closer to him but every time it did, he would shoo it away. We still did not give it a name- we wanted Jon to do that with a hope that it would help him bond a bit with the dog. Jon was cycling hard towards me. He was being chased by 4-5 street dogs, probably the ones from that alley. Our Pug was running towards him with its small feet and wagging tail, and soon enough , it crossed Jon . It started barking towards the other dogs, and as they barked back, this slowed them down, and gave Jon a window of escape. Jon moved back fast inside the house. The Pug, on the other hand, kept barking at the dogs and in few minutes , those dogs ran away from the scene. As we stood watching this scene , we saw Jon standing with us and staring at his pet. He started walking towards it. 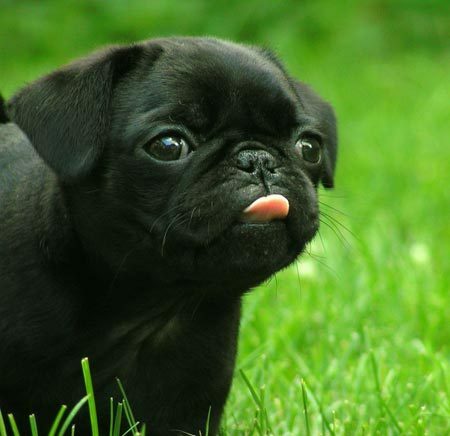 The Pug, upon sensing his presence, came running towards it and stood wagging his tail and drooling , near his feet. Jon picked it up in his lap , and walked back towards the house. Samantha became a little bit emotional on seeing this and even I felt a slight lump in my throat with a gentle smile on my lips. The simplicity of the bond our Pug shared with our Son was a beautiful phenomena. We were glad that Jon had responded to that , this time. He drew a sketch, the next day. It was the depiction of the scene that had taken place the previous day. He had named the sketch- ''Buster, My Savior'' .